The Laboratory Training Manual is designed to complement the theoretical instruction provided in the President’s DNA Initiative – DNA Analyst Training (PDI) project. 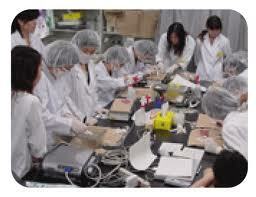 It is also a standalone resource for use by laboratories with an established training program. Structured to provide flexibility in operation and application, the manual offers core examples of DNA analysis methods used in forensic laboratories. It is not intended to cover all methods. Unlike the theory aspect of the PDI initiative, the Laboratory Training Manual is not suitable for self-directed learning; it is based upon a partnership between the trainee and a nominated trainer. The laboratory DNA Technical Leader has responsibilities under the National Quality Assurance Standards for DNA Testing and must be closely involved in the training program.